Want to have an energetic party in the Winter? ABC Kids Climbing offers space for the birthday kid and friends to run, jump, play and climb indoors! Skilled instructors will lead children through an hour and a half of climbing, games, and activities. Children are encouraged to explore the different areas of our gym, including the top rope walls. After climbing, the group will move into a party room for half an hour, to enjoy food, cake, and gifts. ABC Climbing offers a variety of birthday packages, including deluxe packages with food and cake included. ABC Climbing is located at 1960 32nd St, Boulder, CO 80301. Boulder Rock Club‘s two hour birthday party package includes a private party room, all the safety equipment, and skilled instructors. Participants will get to rope climb, boulder, and play team building games. Kids love to climb and parents love to watch ‘em. Boulder Rock Club will take care of the climbing details and the space: you provide the food. For more details, click here. Boulder Rock Club is located at 2829 Mapleton Ave, Boulder, CO 80301. Boulder Indoor Soccer offers a variety of birthday party packages including time for kids to play on the field and even an option for an inflatable or bubble balls! The facility also offers party rooms and coaches as needed. For all the details, click here. Boulder Indoor Soccer is located at 3203 Pearl St, Boulder, CO 80301. Boulder Karate‘s parties are full of Ninja action! You may leave it to us, or pick a few of your favorite games including ninja dodgeball, relay races, suction cup ninja star throwing and more. The birthday kid also has the chance to break a real board, karate-style as well as cut the cake with a real sword. Click here for all the ninja-inspired party details. Boulder Karate is located at 1672 30th St, Boulder, CO 80301. Boulder Quest Center‘s highly trained staff provides an unforgettable experience, the birthday child gets a special role in the games, and you have the easiest birthday party ever. Boulder Quest does the work so you can enjoy the party–just bring the kids and the cake! For all the details, click here. Boulder Quest Center is located at 1501 Lee Hill Dr #18, Boulder, CO 80304. CATS Gym offers birthday parties with fun, lively, physical activity and making the event stress-free for hosts. CATS provides the location, Birthday Party Pro (instructor), set up, entertainment, games, clean up. Parties include 90 minutes of playtime lead by a CATS Party Pro, and an additional 30 minutes of time in the CATS Hospitality Loft to enjoy refreshments and gifts. Shorter parties are available for preschool ages. Energetic and fun playtime activities include: obstacle courses, trampolines, rope swing, games, open gym, and more. CATS Gym has two different birthday party packages, for more information, click here. CATS Gym is located at 2400 30th St, Boulder, CO 80301. Color Me Mine offers a variety of birthday party options, at the studio or in your own home! Options include Paint Me a Story, Kidz Canvas Parties, Ceramics Painting Parties and more. Click here for all the options and details. Color Me Mine is located at 1938 Pearl St Suite 100, Boulder, CO 80302. The Connection at the UMC is the ONLY bowling center in Boulder. The Connection features 10 bowling lanes, eight 9-foot billiards tables, video game consoles (XBOX ONE, PS4, Wii), pinball and arcade games, and a foosball table. The venue is available for birthday parties and offers several birthday packages. For details, click here. The Connection at the UMC is located at 1669 Euclid Ave, Boulder, CO 80302. Elite Dance Academy offers several birthday party packages, featuring dancing, games, and a craft as well as a handful of themes. They will also take care of all the paper materials and can offer packages with cake as well as food. For all the details and choices, click here. Need a place to celebrate your child’s birthday? Food Lab will make all the mess, all the food and all the fun. Kids will participate in a hands-on cooking class and make the food they will eat, cake included! A variety of menu options are available, including gluten free and vegan. Birthday package includes all food, time in the food lab, snacks, drinks and more! All the details can be found here. Food Lab Boulder is located at 1825 Pearl St A, Boulder, CO 80302. There is something for everyone at Boulder’s favorite amusement park, Gateway Park Fun Center. Kids will love the retro feel of the two miniature golf courses, bumper cars and go carts. The park also offers batting cages, inline hockey rink, human maze and more. Gateway has several birthday party packages, with indoor party rooms as well as an arcade. The best part is that although most of the attractions are outdoors, the park is open all year long, so you can take advantage of those warm, sunny days in the winter. Gateway Park Fun Center is located at 4800 28th St, Boulder, CO 80301. PoshSplat will supply all the materials and lots of fun with age-appropriate painting projects. Art teachers will guide the kids to making their very own masterpiece. PoshSplat provides the table, and paperware, you will just need to bring the cake and ice cream! For more details, click here. PoshSplat is located at 2035 Broadway, Boulder, CO 80302. Shredder Urban Ski & Snowboard Park is an indoor/outdoor, year-round ski and snowboard school that provides an alternative to the traditional slope. Birthday party packages offer a range of activities from sledding and air track to skiing and snowboarding, depending on the age and skill levels of participants. Shredder Urban Ski & Snowboard Park is located at 6655 Arapahoe Rd, Boulder, CO 80303. Tinker Art Studio offers a fun and creative birthday package to help celebrate your child’s birthday. The birthday child and their guests will have a great time being creative and making a unique art project while parents can sit back and enjoy watching their young artists at work. For more information, click here. Tinker Art Studio is located at 693B S Broadway, Boulder, CO, 80305. Build-A-Bear offers custom birthday parties for kids at its Flatiron Crossing location. Each party is hosted by an official party leader and is customized by your budget! Each guest gets to make and take home their own furry friend. For more details, click here. Build-A-Bear is located at 1 W Flatiron Crossing Dr #2080, Broomfield, CO 80021. Chipper’s Lanes has been hosting fun birthday parties in Broomfield for years! Chipper’s Lanes centers offer a variety of activities including laser tag, arcade, bowling, and so much more. Click here to view available birthday packages. Chipper’s Lanes is located at 100 Nickel St, Broomfield, CO 80020. Globalsound Studio features dance and karaoke parties in its 2000 square-foot party hall. The studio is complete with a dance floor, large stage, DJ, karaoke, dance music, and refreshments. Find the complete details here. Globalsound Studio is located at 555 Alter St #19f, Broomfield, CO 80020. Iluminar Aerial features parties under its big top for a high flying adventure! Parties include one hour of structured activities including dance, songs, games, relays, aerial instruction and swing time! A space will be available for refreshments after the fun. For all the details including party theme ideas, click here. Iluminar Aerial is located at 2655 Industrial Ln, Broomfield, CO 80020. Warrior Challenge Arena offers birthday parties full of hilarious physical fun through team and personal challenges catered to specific ages and interests. Coaches will facilitate each activity and monitor the floor at all times to insure safe play for you and the kids. For birthday party options and details, click here. Warrior Challenge Arena is located at 3400 Industrial Ln #12a, Broomfield, CO 80020. Erie Community Center offers three different birthday party options: Mini-Miners Indoor Playground Party, Swimming Pool Party, and Climbing Wall Party. Parties include cake and paper materials, with an option for pizza. For all the details, click here. Erie Community Center is located at 450 Powers St, Erie, CO 80516. Dog House Music offers authentic rock & roll birthday parties for kids, teens and adults. Party packages are flexible and based on the age and preferences of the partiers, but packages may include: rock and roll makeover, party favors, interactive music video games, live performances and more! For all the details, click here. Dog House Music is located at 525 Courtney Way, Lafayette, CO 80026. Just a short drive out of Boulder, the World of Wonder Children’s Museum in downtown Lafayette is a favorite for young children. Designed for interactive learning and play, WOW! features a light & music room, an art room, a little clinic, a sandbox, a theatre area complete with costumes and stage and so much more! Birthday party packages include admission to the museum for all attendees, 1 hour in a private party room, as well as plates, cups and napkins for everyone. For all the details, click here. WOW! Children’s Museum is located at 110 N Harrison Ave, Lafayette, CO 80026. Xtreme Altitude Gymnastics provides a fun-filled space, enthusiastic coaches and all the set up and clean up for a great birthday party. Parties include a personal birthday party attendant, one hour in the gym, 30 minutes in the party area, as well as a goodie bag for each guest. For all the details, click here. Xtreme Altitude Gymnastics is located at 1405 S Public Rd, Lafayette, CO 80026. Airborne Gymnastics offers birthday parties complete with a birthday party attendant, private party room and use of the gymnastics facility. You bring refreshments and party goods, a signed waiver for each guest, and children who want to have fun! Parties rotate through the gym with the party leaders, utilizing a variety of gymnastics equipment including trampolines, rope swings, balance beams, bars, trapeze, and the foam pit. For all the details, click here. Airborne Gymnastics is located at 1816 Boston Ave, Longmont, CO 80501. Crackpots Pottery Studio offers private party rooms where kids can paint their choice of ceramics from popular kids items. A freindly staff member will be there to help. There are a variety of party options – for all the details click here. Crackpots Pottery Studio is located at 505 Main St, Longmont, CO 80501. Dabble Paint and Sip features birthday parties with step by step painting instruction, all while jamming to some great tunes. The art instructor will start the painting, then break midway for cake or any other treats you would like to bring in and finish up the painting. For all the details, click here. Dabble Paint and Sip is located at 2330 Main St, Longmont, CO 80501. 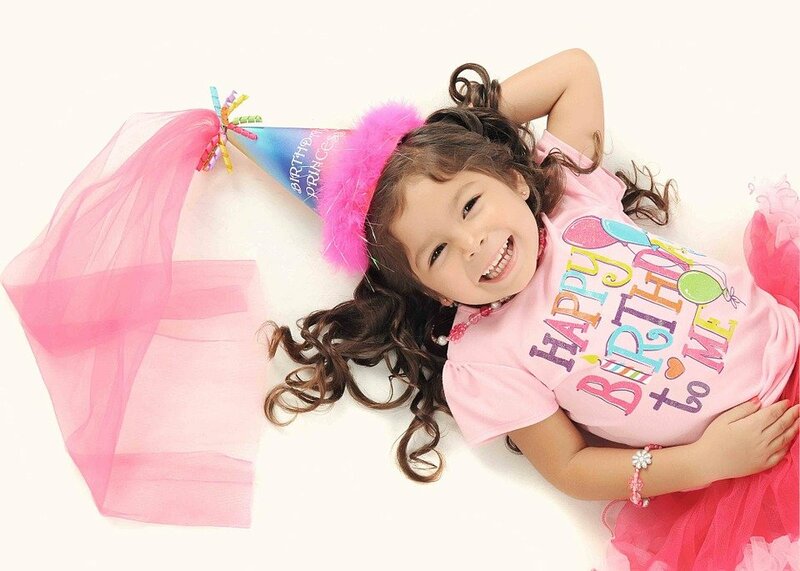 Dizzy Family Fun Center birthday parties are designed to be stress free and full of fun. When you host your party at Dizzy, all guests are invited to stay and play all day long. Every party comes with a party host as well as 50 minutes in the party area for pizza and cake. For more details, click here. Dizzy Family Fun Center is located at 455 Weaver Park Rd #100, Longmont, CO 80501. Warrior Playground is a full scale American Ninja Warrior and Obstacle Course Race training facility for kids & adults to experience the thrill of tackling the obstacles they see on the TV show. Warrior Playground offers birthday parties that include an introduction to the obstacles, a run through the course and some free time to play on the course. For more details, click here. Warrior Playground is located at 2415 Wedgewood Ave B, Longmont, CO 80503. The Wild Game has over 50 video and prize games, as well as eight VIP bowling lanes. The Wild Game offers a variety of birthday party packages that include pizza, giant cookie, drinks, and more! For all the details, click here. The Wild Game is located at 2251 Ken Pratt Blvd, Longmont, CO 80501. APEX School of Movement provides a space for kids to learn and practice parkour, an activity of moving rapidly through an area, negotiating obstacles by running, jumping, and climbing. APEX hosts kids birthday parties complete with a certified coach, mini-lessons and lots of open gym time. For all the party details, click here. APEX School of Movement 1772 Prairie Way Unit G, Louisville, CO 80027. At Coal Creek Bowling Center, all parties include two hours of bowling including shoes for eight children, one free game for each child to use on a future occasion, a balloon bouquet, all paper products, a special gift for the birthday kid, two pitchers of soda and a dedicated party host. There are three different party packages to choose from – details here. Coal Creek Bowling Center is located at 1455 Coal Creek Dr, Lafayette, CO 80026. EVO Rock + Fitness is a spacious, exciting facility that provides the perfect venue for your child’s birthday. Enthusiastic staff members belay young climbers and cheer them on with words of encouragement as they reach the top of our walls, up to 45′ high! For all the details, click here. EVO Rock + Fitness is located at 1754 Dogwood St, Louisville, CO 80027. Mountain Kids offers gymnastics or dance-themed birthday parties for ages 3-12. Parties include 1 hour of gymnastics or dance with our enthusiastic birthday party host, a gigantic obstacle course, trampoline, games, relays, parachute play or dance activities and 1⁄2 hour of party time for cake and other party activities. Mountain Kids will act as host, provide thank-you notes, and party favors, and of course take care of the entire cleanup! Mountain Kids is located at 474 S Taylor Ave, Louisville, CO 80027. Looking for a creative and mindful way to celebrate your child’s birthday? Join Yoga Junction for a private yoga birthday party, catered to your group size and birthday wishes. Yoga parties offer a fun way for children to be introduced to the concepts of yoga in a comfortable atmosphere where they can balance, cultivate strength and compassion. The class can include games, yoga postures, breathing, art, and more. Yoga Junction is located at 927 Main St, Louisville, CO 80027. Carousel of Happiness hosts birthday parties in its party room for up to 10 kids with accompanying adults circulating through. The Carousel features a magical menagerie featuring 56 whimsical, hand-carved animals on a restored 1910 Looff carousel, turning to the music of a 1913 Wurlitzer band organ. Party Room rental includes 10 carousel ride tickets. Additional tickets may be purchased. For details, click here. Carousel of Happiness is located at 20 Lakeview Dr, Nederland, CO 80466. Chuck E. Cheese’s features games, rides, prizes, food and entertainment that children of all ages from toddlers to big kids will love. There are a variety of birthday package options to choose from, including entertainment, food and goodie bags. Chuck E. Cheese’s is located at 305 Marshall Rd, Superior, CO 80027. At Great Play‘s award-winning, high-energy parties, your guests will have a blast in the interactive gym! Choose from six different themes, from super hero party to dance party, and Great Play will customize your child’s party with interactive arena software. For all the details, click here. Great Play is located at 502 Center Dr J&K, Superior, CO 80027.